For the last three years, my husband John and I have been after-school teachers on Thursday afternoons for the Santa Maria Urban Ministry (SMUM) Studio program. 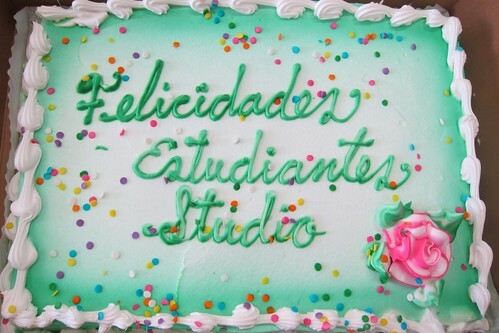 There is another group of volunteers who offer Studio on Tuesdays. 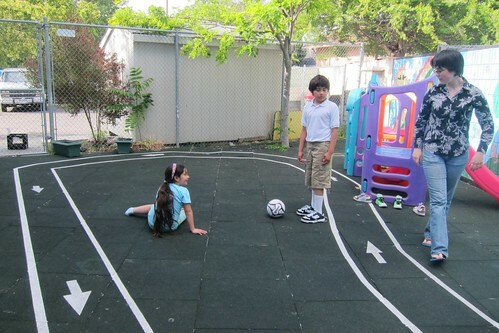 During the summer, the Studio kids enjoy monthly activities. Last week was our final session for this school year. My daughter Jessica is home from college so she was able to join us. We had a party with cake and pizza. The kids posed with backpacks for a picture for the SMUM Canticle Newsletter. 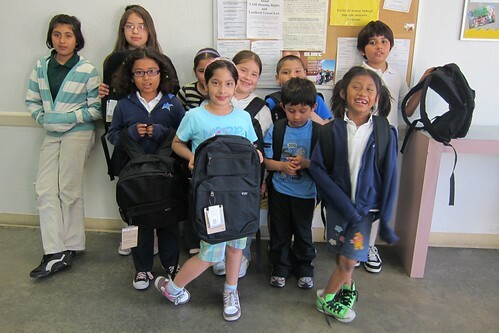 In 2010, over 800 backpacks were distributed at the end of the summer to grade school, middle school, and high school students in the SMUM community of inner city San Jose. Backpacks and their contents are donated by churches and community service groups like the Willow Glen Lions.